The Middle East and North Africa has seen the second-largest improvement for Entrepreneurship and Opportunity in the world in 2012. This comes according to the 2012 Legatum Prosperity Index, which analyses wealth and well-being in 142 countries, and the connections between eight different prosperity-pillars. Closely following Asia, MENA has seen remarkable growth in the pillar of Entrepreneurship and Opportunity not only remarkably in Fiscal Year 2011 – 2012, but also in FY 2010 – 2011. The region experienced a spike in this sector, not only because the cost of building up a startup has become significantly cheaper in most countries in the Middle East, but also because the popularity of mobile banking is increasing in parallel to the improvement of levels of communications technology. 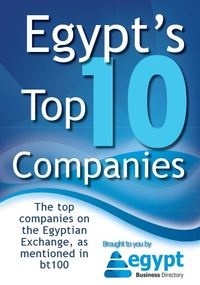 In Egypt – for instance – business startup costs decreased from 16% of the Gross National Income per capita in 2009 to 6% in 2012. The only countries that experienced in increase in costs are Israel, Yemen and Algeria.